We stopped here for an impromptu dinner. I have passed here many a time but never been in so we finally took the opportunity when it arose. We were met by friendly and welcoming staff and were seated. 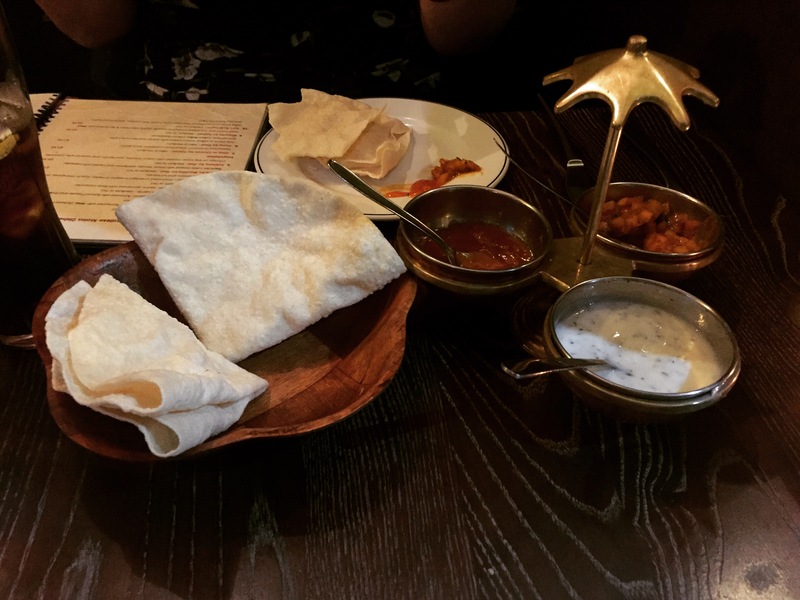 There was a nice choice on the menus, with it being broken down into Nepalese, Indian and Seafood and there is a decent vegetarian offering in both the Nepalese and Indian cuisines. We went for the standard poppadoms and pickle tray as a starter (I was wise and knew we would fill up on these and having a starter too would be risky). I then picked chicken acharai for my main and my dining partner went for chicken rogan josh . We had a choice of heat levels for these curries so I went for medium and my friend went for hot. We both went for an additional garlic naan. The poppadoms arrived quickly and were served folded, which I’m not a fan of but they do save on space and don’t really taste any different. The pickles consisted of yoghurt raita, onions and mango chutney. There probably wasn’t quite enough of the mango chutney but that is the same complain in most restaurants serving poppadoms. The onion was a bit different from other restaurants I’ve tried in that it had more of an earthy spice to it than a sweet taste. This was very nice. When the curries arrived they smelt good. The naans were cut into quarters and placed together. My acharai was well balanced and not too hot. The chicken moist and there were enough pieces in there. Additionally there were yellow and green peppers and onions scattered through it with a touch of ginger to give it additional depth. All of this resulted in a very tasty curry. 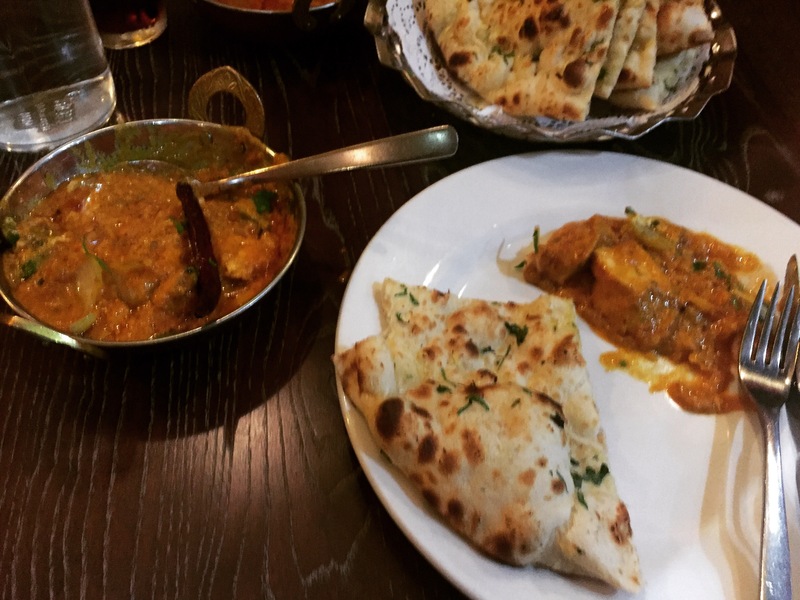 The naan was of a high quality and one of the best I’ve had in recent times. It had great garlic flavours, just how I like it, and it wasn’t too greasy. The hot curry on other side of the table was equally enjoyed, although she did have a bit of chilli that caught her throat but I blame that on her entirely! We were too full for dessert but we had some hot wipes to clean up with. 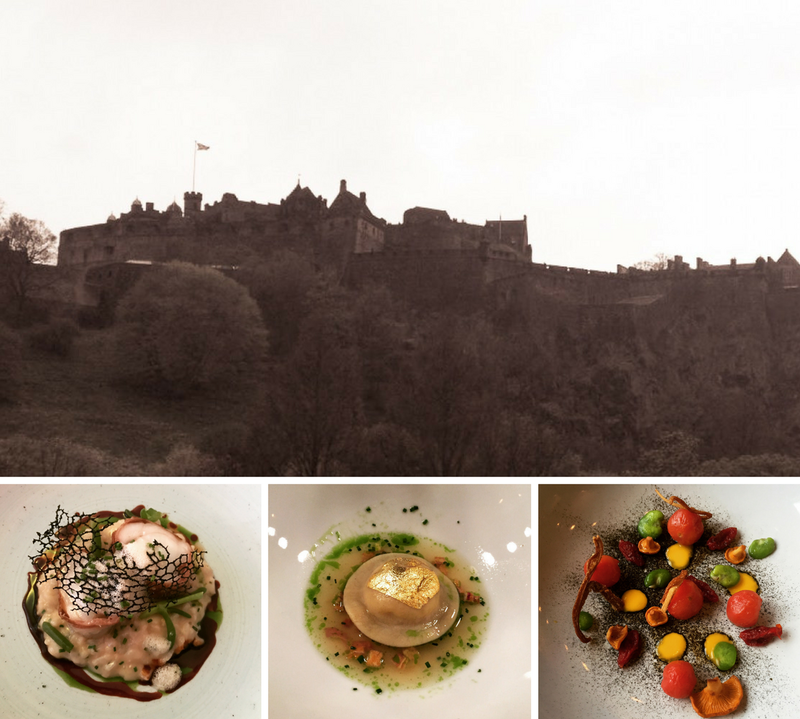 I was pleasantly surprised by this place and would happily go back.